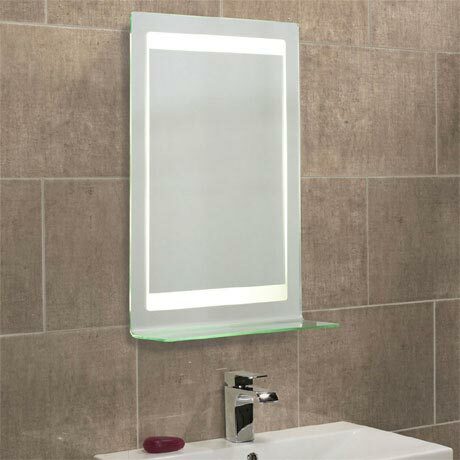 The Gamma Backlit Illuminated Mirror from Roper Rhodes provides brilliant illumination and is a great centrepiece for any contemporary bathroom. Features a handy integrated glass storage shelf made from 6mm thick glass. Other useful features include a recharging socket for your toothbrush or shaver, infrared on/off switch and a heated demister pad that ensures the mirror remains crystal clear even in the most steamiest of bathrooms. The infrared no-touch on/off switch which operates the lighting and heated demister pad is located on the right hand side of the mirror near the bottom.